SpamAssassin is a mail filter to identify spam. It is an intelligent email filter which uses a diverse range of tests to identify unsolicited bulk email, more commonly known as Spam. 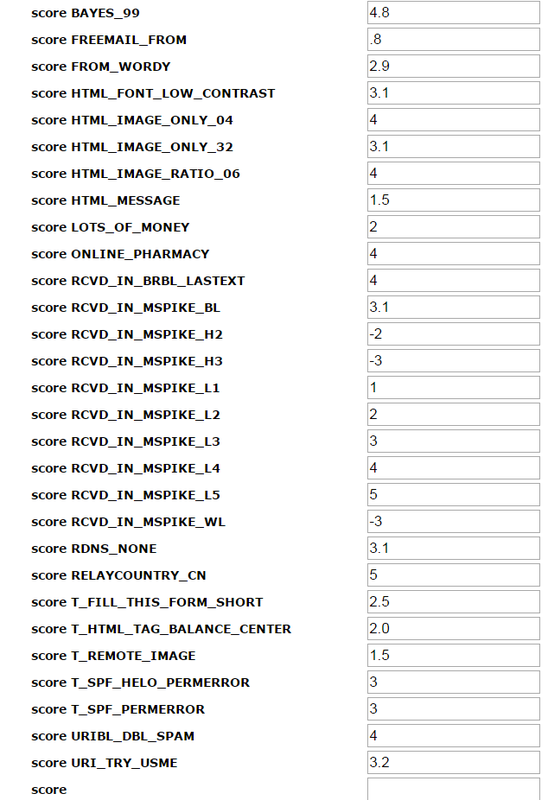 These tests are applied to email headers and content to classify email using advanced statistical methods. 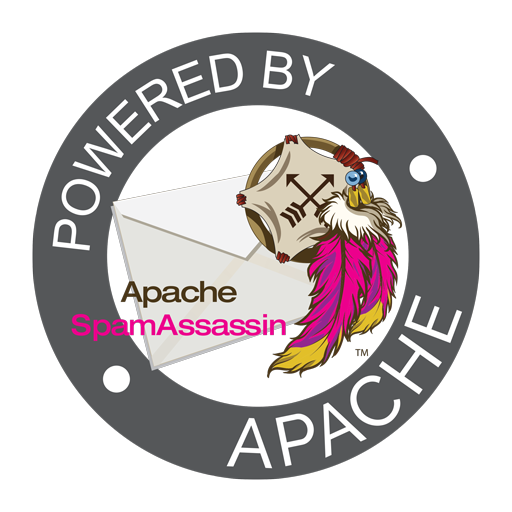 In addition, SpamAssassin has a modular architecture that allows other technologies to be quickly wielded against spam and is designed for easy integration into virtually any email system. Even though any one of these tests might, by themselves, mis-identify a Ham or Spam, their combined score is terribly difficult to fool. 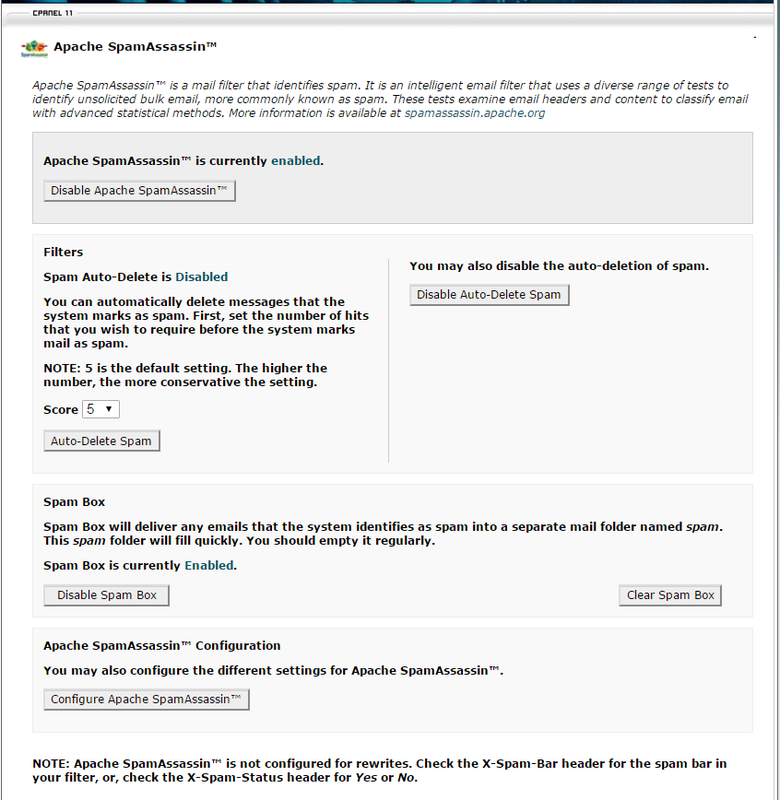 The main config page for SpamAssassin, click configure SpamAssassin to edit rules. Here are some of the rules and values I had success with, tinker with these and find what works best for you. Here we see the results of a legitimate email with a SPF pass and DKIM pass. The domain is also whitelisted. Here’s a spam email that didn’t get filtered because the rules were not properly weighted. I added weight to the FREEMAIL_FROM and SPF_FAIL rules. You do not want one attribute or rule to trigger the filter. For example, I assigned “T_SPF_PERMERROR” a 3 value because while a bad or missing SPF record is a red flag, some people just don’t know how to set these up properly. You can assign negative values to positive rules that matter. This may be the most important thing to do, if you are going to get aggressive with negative rules, you need some positive rules to counter. For example, “RCVD_IN_MSPIKE_WL” means the domain is whitelisted, so I gave it a value of “-3”. I also assign similar negative values to “DKIM_SIGNED” and “DKIM_VALID” as they are good indicators of authentic e-mail. If the e-mail user doesn’t communicate internationally, you can benefit from adding a mid range value to rules such as “RELAYCOUNTRY_CN” or “RELAYCOUNTRY_RU”. China and Russia relay a significant amount of spam and malicious messages. READ THE PROCESSED HEADERS!!! This is beyond important as it will show you new rules or modified values you can use to catch the email next time. Each user may need some customization to the ruleset to work properly, this is generally done by analyzing the headers of both good and bad messages.